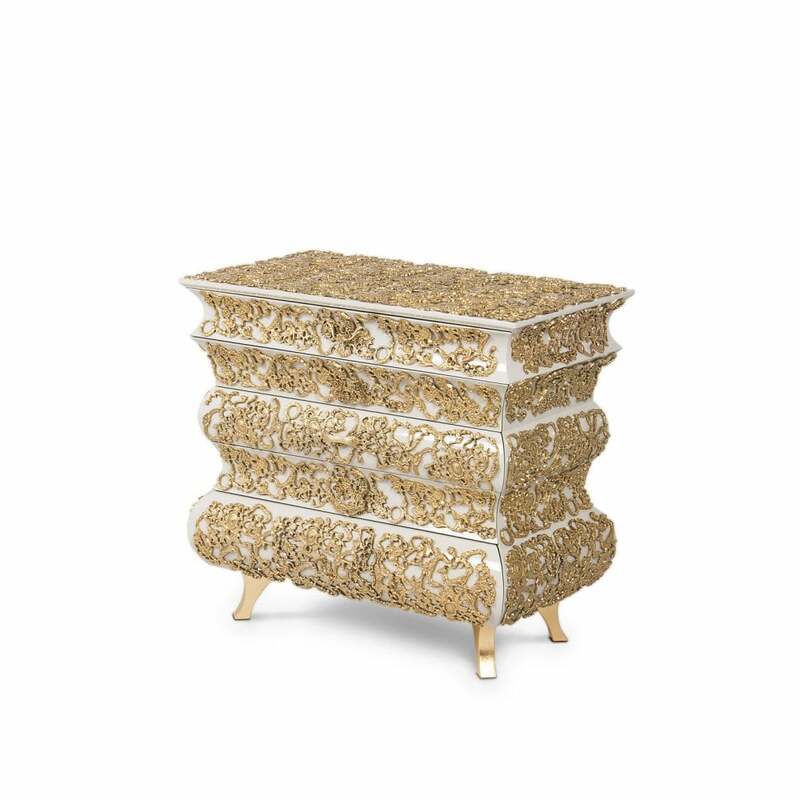 Luxurious and highly ornamental night stand from Boca Do Lobo. Handmade in wood, finished in golden leaf with a translucent beige and high gloss varnish. The stand is finished with a carved metal structure. Wood with gold leaf, translucent colour over brass and fabric. Gold plated handles.